An executor should be someone you can trust who will make things easy for your loved ones when closing out your estate. This person should be well prepared for the process. last will and testament with dollar , certificate and key. When dealing with all end of life issues, it’s far too easy to get overwhelmed. If you have been named the executor of someone else’s will or if you are thinking about who to name as the executor of your own estate, you need to follow some simple guidelines to ensure that you have made the right choice. First of all, an executor has many different responsibilities, so you should never put someone in this role without first discussing it with them. There are legal and financial obligations that must be addressed by the executor after you pass away. These include maintaining property until the estate is settled, paying taxes and bills for the estate, notifying creditors about the death of the deceased, making court appearances on behalf of the estate and distributing assets according to the will. If significant court time is required or if the will is especially complex, an executor might need to hire an attorney to assist with probate administration. Typically, you can select anyone to serve in the role of will executor and no financial or legal knowledge is usually required. For that reason, many of the most common executors to wills you’ll find are children, siblings and spouses. You need to have an executor who has organization, honesty and communication as top qualities. People often overlook the ability to communicate and the requirement of being organized. However, during a challenging time for your loved ones, they deserve to have someone with these qualities instilled in such a role. 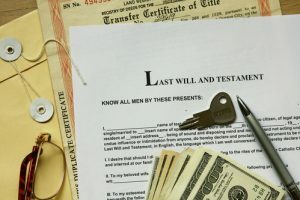 Other important factors you need to contemplate when selecting an executor include family dynamics, such as whether or not your loved ones will get along with the executor, the executor’s physical location when it comes to issues such as checking the mail, court appearances and property maintenance, and whether or not you need to name an alternate executor. Talk to a lawyer about how to select the right executor to help you.